The most compact in its range, the Shape 40 is ideal for recording and listening spaces up to 107ft² and boasts impressive lower end for such a streamlined size. A distance of up to 23" is recommended for listening. Shape 40 is the most compact studio monitor in the Focal Professional line, and the perfect solution for nearfield monitoring. 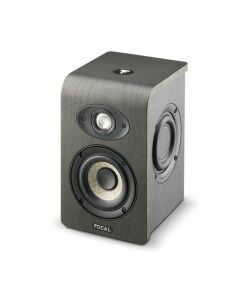 These monitors can be used from 23"³ away (60cm), and they have astonishingly extended low end frequency response. Whether you have a room of less than 107ft2 (10m2), or an installation where compactness is paramount, Shape 40 is the perfect solution.